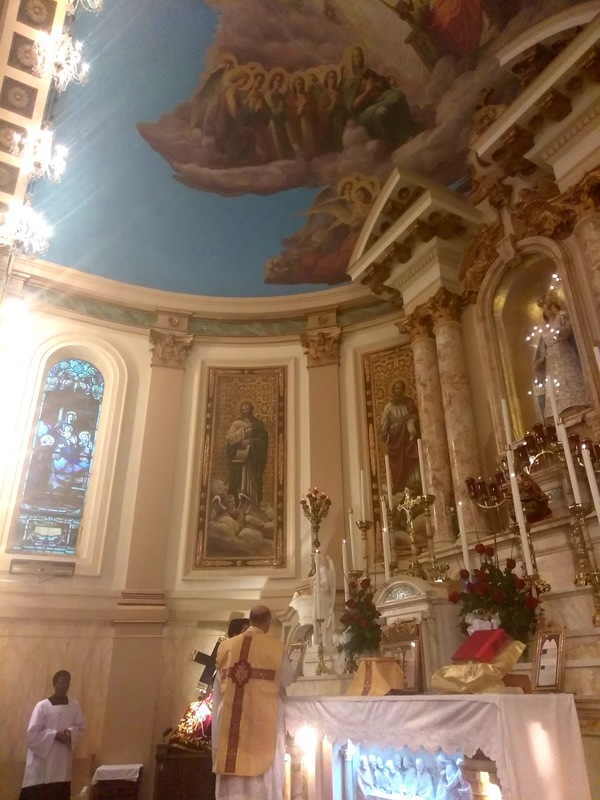 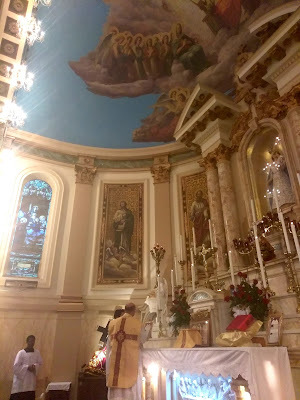 Our thanks to Mr Teddy Thongratnachat, one of our regular photopost contributors, for sending these photographs and the description of the ceremonies recently held at the Pontifical Shrine of Our Lady of Mt Carmel in New York City, as a part of a prayer vigil for Nascent Life. 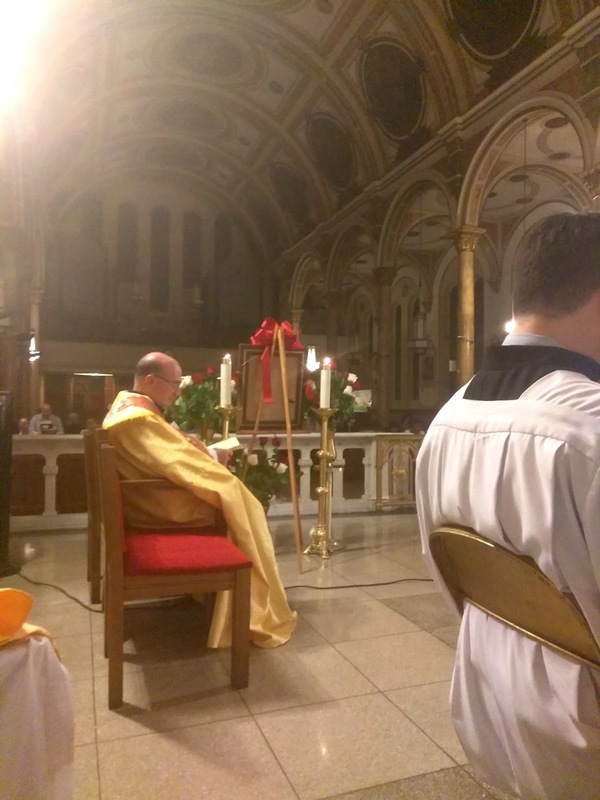 On Friday, June 23, the second All-Night Vigil for Nascent Life was observed at the Pontifical Shrine and Parish Church of Our Lady of Mount Carmel in Manhattan. 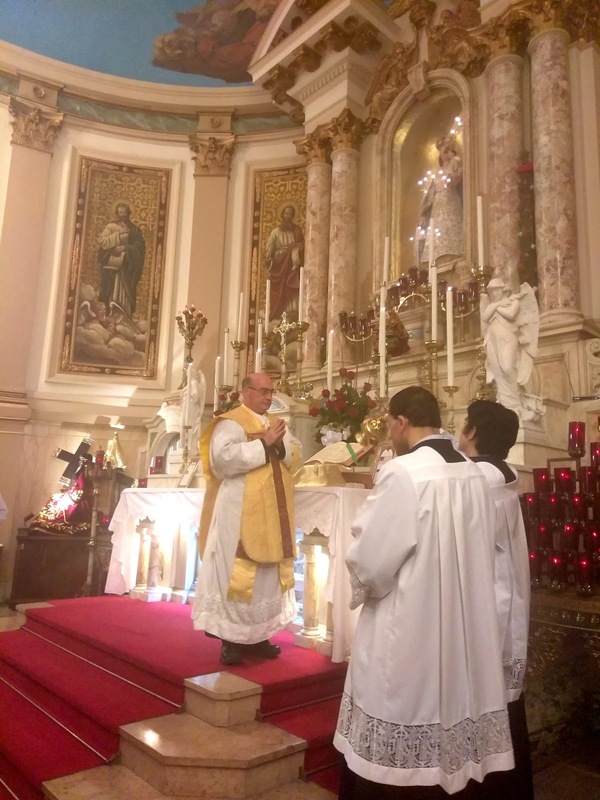 The liturgical rites began with the Stations of the Cross at 7 pm, followed by Solemn High Mass for the feast of the Most Sacred Heart of Jesus. Immediately after Mass, the Blessed Sacrament was exposed on the throne above the tabernacle, and the clergy and congregation recited the Act of Reparation and Consecration to the Sacred Heart; the Litany of the Sacred Heart was chanted in Latin. After a small break, Second Vespers for the Sacred Heart and Compline were celebrated coram Sanctissimo. 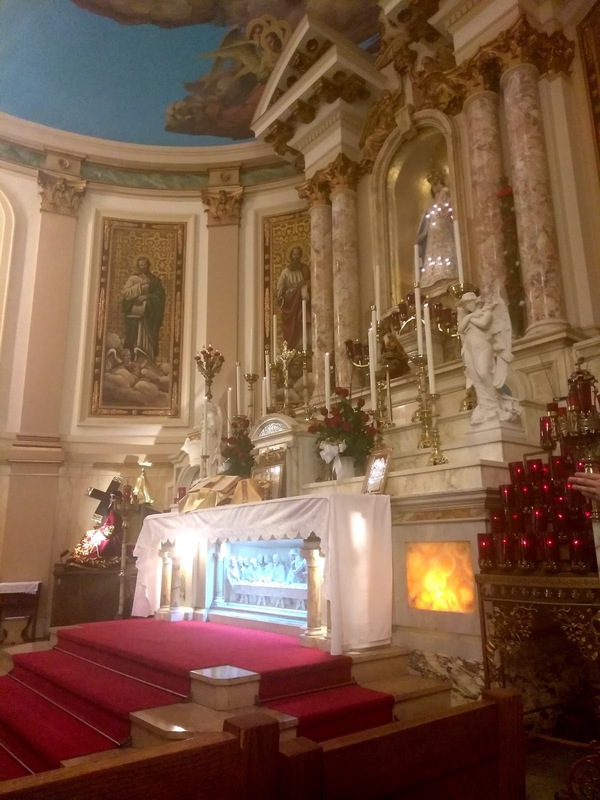 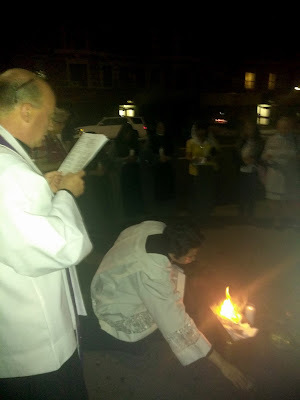 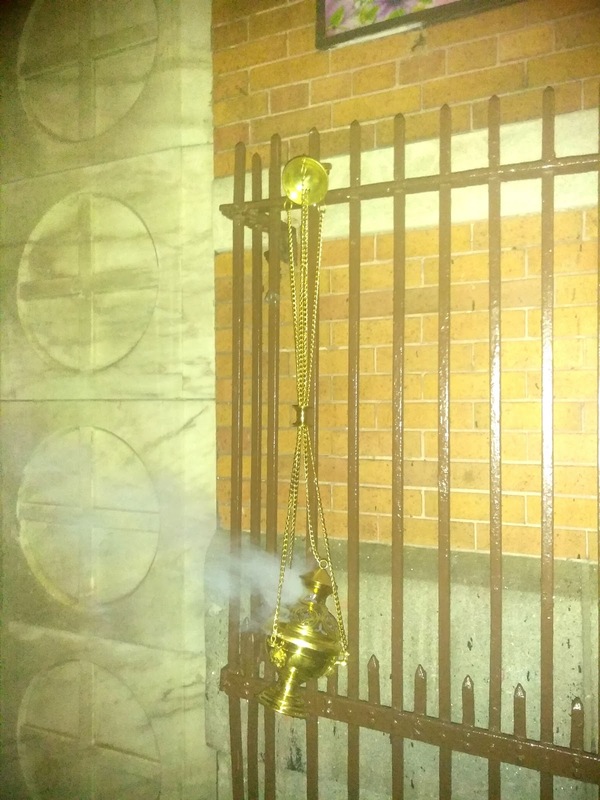 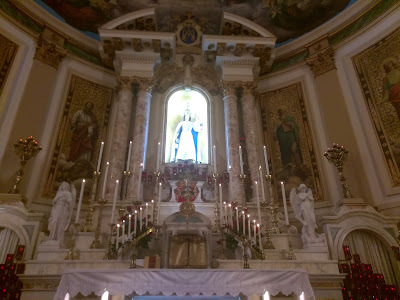 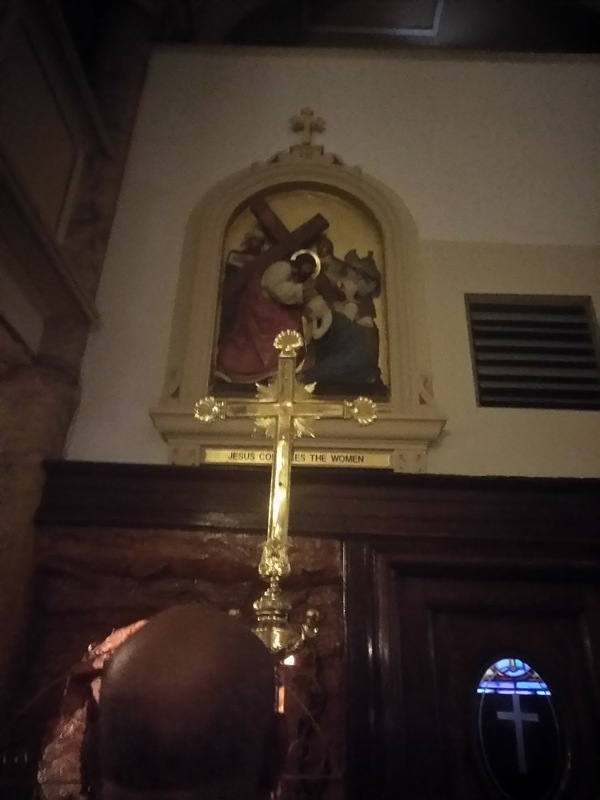 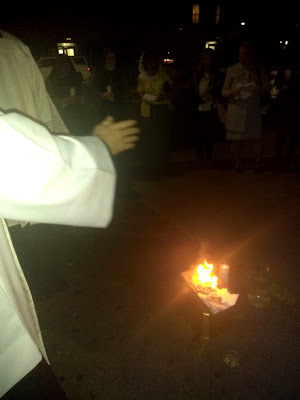 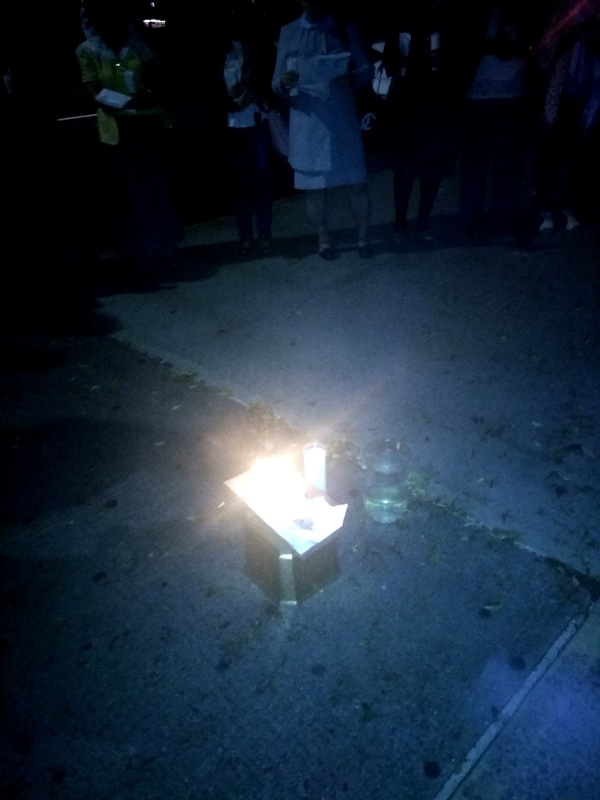 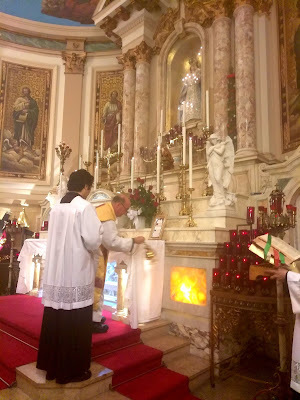 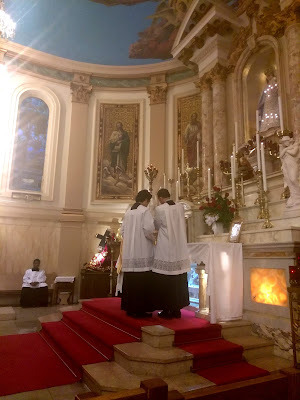 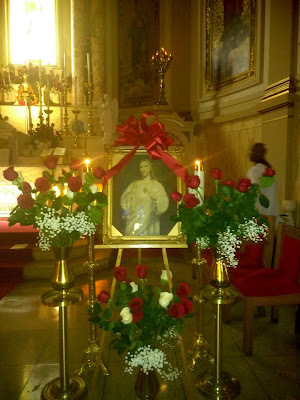 At 4 am on Saturday, June 24, a small bonfire was blessed according to the rite given in the Rituale Romanum, in front of the shrine’s entrance on 116th St. 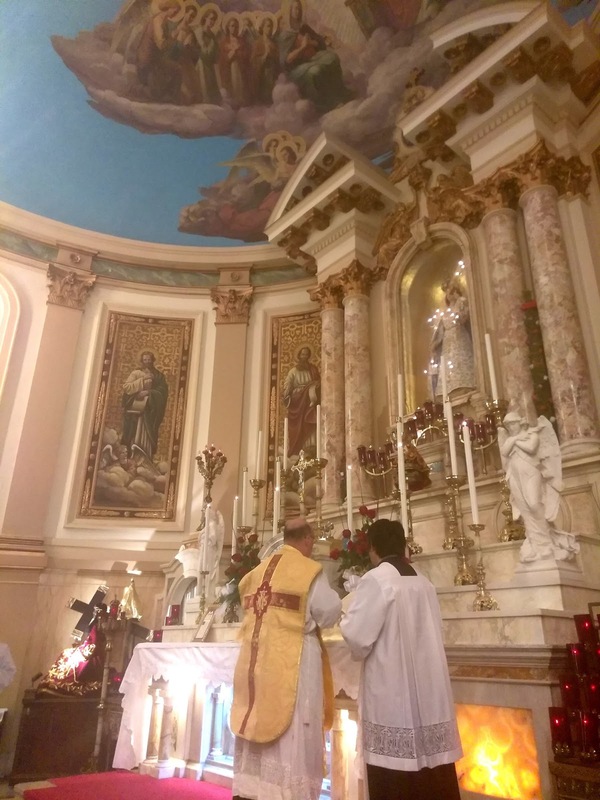 The blessing was originally planned for 4:30, but an impeding thunderstorm forced it to be done earlier; fortunately, the skies were clear for most to gather outside, while a few members of the congregation remained inside the Church before the Blessed Sacrament. 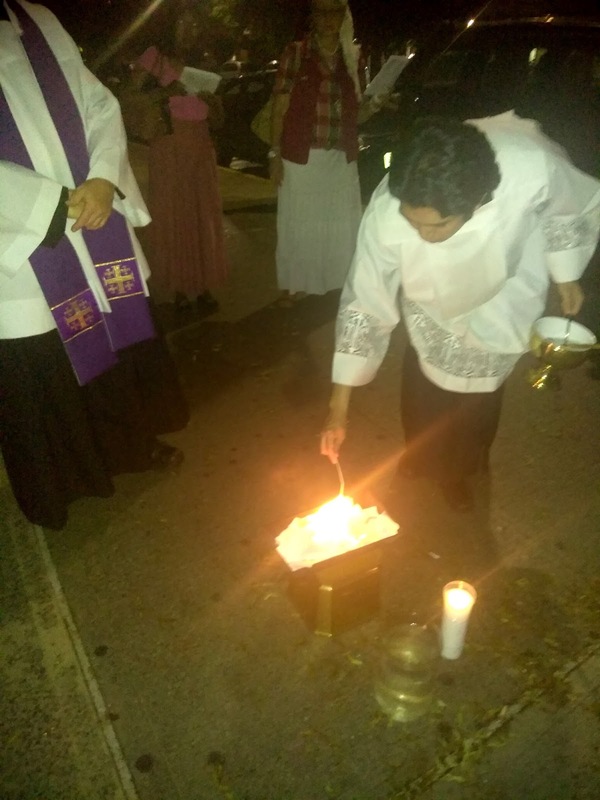 After the blessing, the faithful lit their candles while the hymn Ut queant laxis was sung. 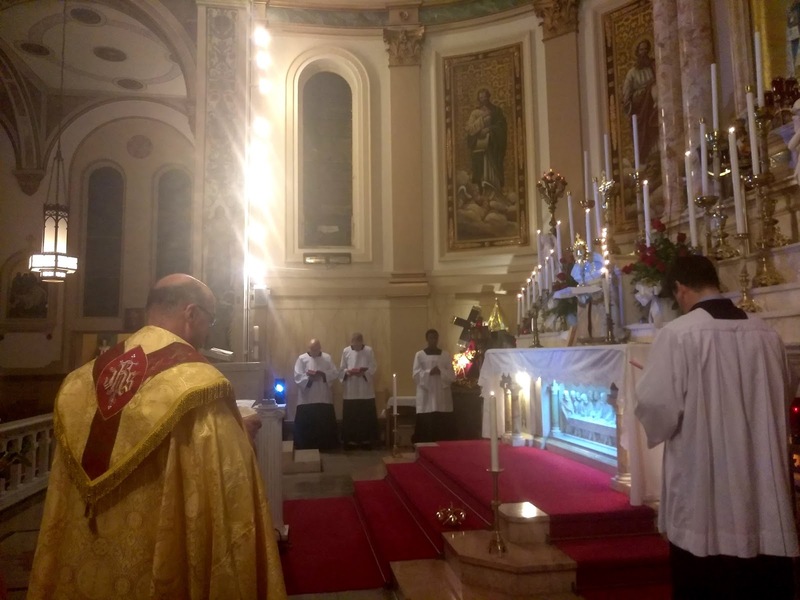 After the concluding prayers, the faithful returned to the Shrine for the closing Procession, Benediction and Sung Mass for the Nativity of Saint John the Baptist, beginning at 5 a.m.